The comet, designated C/2017 U1, appears to have come from the direction of the constellation Lyra, and preliminary observations indicate it has a higher eccentricity than any known comet (1.1815), suggesting it is on a hyperbolic interstellar trajectory. 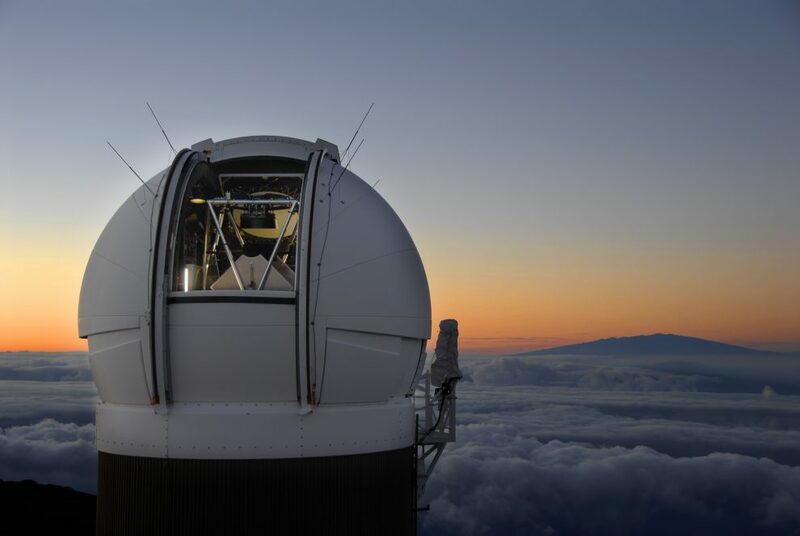 The team’s observations were published today by the International Astronomical Union’s Minor Planet Center. Astronomers have been tracking comets since ancient times, but nobody’s ever seen ones that did not come from somewhere within the solar system, either the Kuiper Belt or the Oort Cloud at the very edges of of our celestial neighborhood. Comet C/2017 U1, however, came in almost perpendicular to the orbital plane of the solar system and flew right under our noses, only 15,000,000 miles (24,000,000 km) from Earth, about half the distance to Mars. It is the highly eccentric orbit of the comet, meaning the orbit deviates significantly from a circle, that leads astronomers to believe it came from beyond the solar system. First spotted on October 18, C/2017 U1 has been observed over the course of six days. This small picture of the comet’s trajectory reveals an extreme orbit that points to another star as the origin, but follow-up observations will be required to confirm. A comet that gets that close too the sun can be annihilated by the heat, but C/2017 U1 appears to have zipped around our host star fast enough to escape largely unscathed—it is traveling 16 miles (26 km) per second, or 57,600 mph, according to Sky & Telescope. At that speed, the object could travel about 150 light-years over the course of 10 million years of hurling through the void. “Based on its apparent brightness, dynamicist Bill Gray calculates that it would have a diameter of about 160 meters (525 feet) if it were a rock with a surface reflectivity of 10%,” reports Sky & Telescope. Comet Bowell (C/1980 E1), discovered by American astronomer Edward L. G. Bowell in February 1980, is the only other comet that was thought to be interstellar in origin when originally spotted. However, additional observations revealed that Bowell originated in the solar system and was nudged by Jupiter on a trajectory that will send it hurtling out into the interstellar realm.